House Speaker Nancy Pelosi said Friday she is trying to get in touch with Rep. Ilhan Omar to discuss her latest attention-getting tweet about the Sept. 11 terrorist attacks that has drawn new backlash to the freshman Minnesota Democrat. Omar tweeted “Was Bush downplaying the terrorist attack? 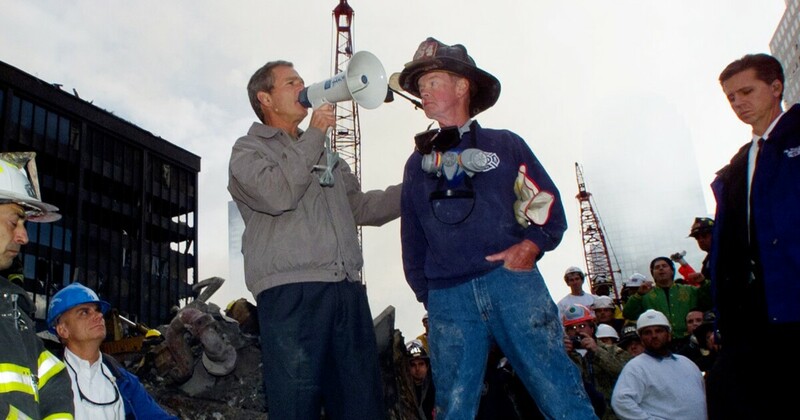 What if he was a Muslim,” under the Bush quote delivered at Ground Zero. The tweet quickly drew criticism and came just a day after Omar was the subject of a New York Post cover depicting the flaming twin towers and the lawmaker’s comments before a Muslim advocacy group that “some people did something,” on Sept. 11, 2001. The commentwas widely seen as downplaying the significant and horror of a tragedy that claimed nearly 3,000 lives. Omar claimed in the aftermoth of 9/11 Muslim civil liberties had suffered. Pelosi has yet to comment on Omar’s recent comments and tweets, but plans to respond at some point, she said. A back-and-forth over Twitter about whether Rep. Ilhan Omar had downplayed the significance and horror of the Sept. 11, 2001, attacks sparked debate on Capitol Hill this week. On Friday, she suggested that President George W. Bush would have faced more scrutiny for his comments in the aftermath of the attacks if he were Muslim. Was Bush downplaying the terrorist attack? “The people — and the people who knocked these buildings down will hear all of us soon!” Omar said, quoting Bush’s speech. That speech was met with instant criticism from Republicans and conservative media. Rep. Dan Crenshaw, R-Texas, condemned Omar for trivializing the deadliest terror attack in American history. 1. I never called you un-American. 2. I did not incite any violence against you. Omar and other Democratic freshman lawmakers have said that criticizing her for speaking about her experiences as a Muslim American puts her in danger. Authorities charged a New York man last week with threatening to assassinate Omar.